Visit The Sims 4 Gallery on Mobile and the Web! Expanding your game with new creations just got easier with the release of The Sims™ 4 Gallery on iOS, Android™, and TheSims.com. The Gallery lets you see, share, and download amazing community creations and can now be visited using the mobile app or any internet browser. The best part: when you are signed in with your EA Account you can save your favorite creations to download automatically into The Sims 4 the next time you play. It also keeps you up to date with News Alerts, so you’ll always know what’s going on in the world of The Sims 4. Once logged in with your EA Account you can browse the entire Gallery using search options like keywords, as well as like and comment on your favorites. Every creation in the Gallery can be shared with your friends using each creation’s own unique link. 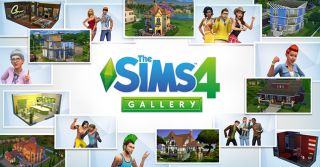 You don’t even need to own The Sims 4 to view the Gallery, but it is required for some features. If you are not signed in with your EA Account, you will only be able to view Maxis curated content. Check out the Gallery by using the iOS and Android™ apps, on TheSims.com, or in-game and start exploring! It’s now easier than ever to learn about exciting upcoming content and add new experiences to your game.